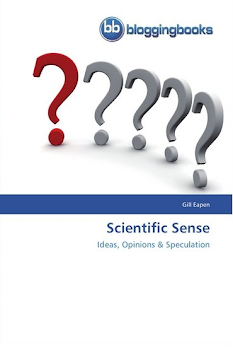 Scientific Sense: Hardware or software? A recent study seems to argue that the remarkable intellectual abilities demonstrated by Einstein are related to the unusual characteristics of his brain. The asymmetric shapes in prefrontal, somatosensory, primary motor, parietal, temporal and occipital cortices of his brain may have contributed to his success, the study portends. This may be premature. By comparing the shape and structure of a singular brain against a cross section of ordinary brains, the study seems to find oddities. However, the cause and effect are not established. More importantly, the question will be whether such odd shapes exist in larger populations and if so, why such brains have not been able to push imagination to the limit. An alternative hypothesis has to be that the hardware of the brain has little to do with the demonstrated abilities of a human. It is the software – both the installed operating system – culture and societal effects and the applications – experience and curiosity that make each brain unique. It is neither the capacity to memorize nor the ability to process information fast that lead to remarkable innovations and discoveries. Ordinary men and women will perish cutting and dicing a remarkable organ but finding nothing important. Meanwhile, the imagination that propelled the beautiful mind to eternity will wither away.